“You shall NOT PASS” the threshold of a single-party majority government. British Prime Minister Theresa May has learned a hard lesson: early dissolution is like a corrosive, volatile substance whose bearer must handle it carefully or risk being burned. She also learned its corollary: election campaigns matter. A poorly run campaign is an incumbent government’s self-inflicted wound. May thought that she could wield the Fixed-Term Parliaments Act as a weapon against Labour leader Jeremy Corbyn, but she proved herself unworthy of it. Early dissolution instead served its own ends. The results of the British General Election of 2017 are strangely anti-climatic and mark a resurgence of the two-party system of Conservatives versus Labour. Both parties saw their share of the popular vote increase, Labour’s by fully 9.5% and the Conservatives’ by 5.5%. The two-party system also made a comeback in Northern Ireland, where the Ulster Unionist Party (the Anglican party) lost two seats, and the Democratic Unionist Party (the Presbyterian party) picked up two seats; similarly, the Social Democratic and Labour Party lost three seats, and the Catholic Irish nationalist Sinn Fein picked up three seats. But despite the gains in the popular vote, the Conservatives, overall, lost 18 seats. In the general election of 2015, the Conservatives won a narrow majority of 336 seats with 36.9% of the popular vote. In May’s early election of 2017, the Conservatives held on to only 318 seats — losing 21 in England, 3 in Wales, but gaining 12 in Scotland. Jeremy Corbyn, Labour’s dour socialist ascetic leader, succeeded: he proved his critics wrong simply by not being a disaster and even managed to lead his party to gaining an additional 29 seats, going from 232 in 2015 to 261 in 2017. He has gained political capital and secured his leadership of the Labour Party. But Theresa May might soon suffer a different fate. The Westminster Parliament consists of 650 seats, which makes winning 326 seats the threshold for forming a parliamentary majority. However, we must take into account the fact that Sinn Fein MPs elected in Northern Ireland do not take their seats at Westminster, because they refuse to swear the oath of allegiance to the Queen of the United Kingdom. (In this respect, Sinn Fein MPs-elect are far more principled that Bloc Quebecois MPs here in Canada, who have shown no qualms with advocating socialism, secessionism, republicanism, and gross hypocrisy in also swearing allegiance to the Queen of Canada). Sinn Fein won 7 of Northern Ireland’s 18 seats. So we must subtract 7 from 650, which gives us 643, and divide that in half and round up the remainder. Therefore, in this parliament, 322 seats constitute a majority. And it just so happens that the Democratic Unionist Party — the socially conservative, pro-Brexit, Presbyterian party of the late Ian Paisley, Sr. — won 10 seats in Northern Ireland and has, historically, supported its sister Conservative and Unionist Party of Great Britain. The Conservatives could therefore enter into a supply agreement or a coalition with the DUP, which would give the May government the support of 328 MPs, or a working majority of 6. While the May government can probably sustain a majority in this new Parliament, the results of this election have nevertheless severely undermined Theresa May’s leadership; her premiership might soon collapse. May premised this risky early dissolution and general election on the idea that the United Kingdom needed “strong leadership” during the negotiations with Brussels over the precise terms of the United Kingdom’s exit from the European Union. She asserted that voters faced a choice between “strong leadership in the national interest” of the Conservatives and “a coalition of choas.” By definition, May’s high-risk gamble has failed, because it required a substantial increase in the Conservatives’ parliamentary majority, not a small loss or stalemate. Britons will now face a coalition of Dry Tories and sectarian Northern Irish Presbyterians. I suspect that Theresa May will have to resign as Conservative leader and Prime Minister by the end of the year, even if the Conservative-Democratic Unionist coalition holds. But if this upcoming coalition also loses the confidence of the Commons, then there would probably be another early general election, because even Labour and the Liberal-Democrats combined — or Labour, the Liberal-Democrats, and the Scottish National Party combined in “liberal-socialist-separatist” coalition, as Harper would put it — lack a parliamentary majority. The Westminster Parliament may yet have to invoke the Fixed-Term Parliaments Act for its second early dissolution. For now, however, May is in denial about her mistake and spoke as if this general election had never taken place. What the country needs more than ever is certainty. Having secured the largest number of votes and greatest number of seats in this election, it is clear that only the Conservative and Unionist Party has the legitimacy and ability to provide that certainty by commanding a majority in the House of Commons. As we do, we will continue to work with our friends and allies in the Democratic Unionist Party in particular. Our two parties have enjoyed a strong relationship over many years, and this gives me the confidence to believe that we will be able to work together in the interest of the whole United Kingdom. This will allow us to come together as a country and channel our energies toward a successful Brexit deal that works for everyone in this country, securing a new partnership with the EU which gaurantees our long-term prosperity. That’s what people voted for last June, and that is what we will deliver. Prime Minister “May Not” could soon fade into history and count herself as the latest victim of prime ministerial hubris. She proved unworthy in wielding the power of early dissolution and its alleged advantages to the incumbent effectively; the early election instead served its own ends. 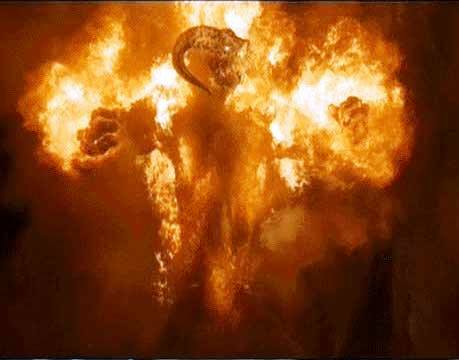 She shall pay the price for failing to slay the Balrog of Early Dissolution. The Fixed-Term Parliaments Act has proven itself as May’s Bane. How would a three deputy speaker work in a parliament where the Official Opposition and a hypothetical third party are close enough that the Leader of the Opposition providing deputy speakers and losing two votes may give the third party more votes on the floor? A small correction. You noted 328 as the headline number for a majority, but it is in fact 326. The rest of your math is correct. It’s also worth noting since we’re counting every vote in Westminster right now that the mother Parliament has a clever scheme for dealing with the trouble that British Columbia is facing right now. The speaker has three deputies, two of whom are taken from the opposite bench from where the speaker came, and one from the same bench, assuring that whoever is elected speaker it does not advantage one bench over the other. Yes, thanks. I was losing track of all these numbers earlier! Correction made.